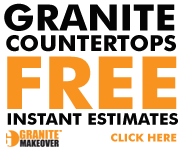 We have recently launched our Affiliate marketing program for granite countertops. If you manage a blog or website that is in the kitchen renovation or design space and want to earn revenue from your traffic we have a great program for you. ductory offer is $3.00 CPL for any completed form. Quality: Our customers who work the leads will flag leads that are invalid in the system. They have until the 5th day of the next month to flag the leads and we pay affiliates net 15.
your joking right? $3.00 per lead, when you can make up to $10,000 per lead?